Aldo Scrofani began his tenure in the theatre in 1977 at Jujamcyn Theatres Corporation. During his 13 year term he served as the Executive Vice President and Executive Producer and participated in the vast growth of the organization into one of America’s leading and most progressive theatrical companies. Jujamcyn owned and operated first class legitimate Broadway theatres, as well as produced some of the Broadway Theatre’s most memorable and successful productions. In 1990, he joined Columbia Artists Theatricals (CAT). CAT was among the industry’s most highly regarded producing and management companies and was a leader in the world of theatrical touring. During his 18year term with CAT, Mr. Scrofani served as the Chief Operating Officer. In addition, during this term, he also held the position of Executive Vice president and COO of Columbia Artists Management, Inc. (CAT’s parent company) and was a senior member of the Board of Directors. In 2009, he founded Theatre Management Associates, Inc. (TMA) and its subsidiary, Moonglow Productions LLC. TMA/Moonglow is a theatrical production and management company providing expertise and professional services to theatrical ventures on a worldwide basis. Concurrently, in 2008, after many years of guest lecturing and as a guest expert both at Duke and New York University, Mr. Scrofani became at Adjunct Professor at the Stern School of Business teaching a course entitled “The Business of Broadway” as well the Instructor on the highly praised program “Strategic Steps for Growth” (SS4G) sponsored by the Mayor’s Office Of Media & Entertainment in partnership with New York University. Mr. Scrofani was currently named the Chief Operating Officer of the Apollo Theater Foundation, Inc which includes the world famous and Iconic Apollo Theater! During his 41 years in the live entertainment industry, Mr. Scrofani has produced, co-produced or been associated with over 100 Broadway, National, and/or international productions including American Dance Machine directed by Wayne Cilento, Gone With The Wind directed by Trevor Nunn, Dirty Rotten Scoundrels directed by Jack O’Brien, Chita Rivera The Dancer’s Life directed by Graciela Daniele, Lovemusik directed by Hal Prince, STOMP, Stomp Out Loud, Tap Dogs, Grand Hotel directed by Tommy Tune, City of Angels directed by Michael Blakemore, You’re a Good Man Charlie Brown directed by Michael Mayer, Gypsy directed by Author Laurents and starring Tyne Daly, Cat On A Hot Tin Roof with Kathleen Turner, Big River, Bring In ‘Da Noise, Bring In ‘Da Funk, Jelly’s Last Jam, Elaine Stritch At Liberty all directed by George Wolfe, Sunset Boulevard, The Royal National Theatre production of Carousel directed by Nicholas Hytner, The World Goes Round directed and choreographed by Scott Ellis and Susan Strohman, Master Class with Elizabeth Ashley, The Belle of Amherst with Julie Harris, M. Butterfly directed by John Dexter, Into the Woods directed by James Lapine, The Piano Lesson directed by Lloyd Richards, My One and Only with Tommy Tune, and Dracula with Frank Langella. Accolades and awards include multiple Tony® Nominations and Tony® Awards as well as Drama Desk, Obie, The Pioneer in the Theatre Award in 2011, and The Elliot Norton Award for outstanding production for Carousel. Mr. Scrofani has been an active member within the theatrical industry both in North America and on an International basis. He has served on many industry committees regarding topics such as labor negotiations, marketing, and touring and as a panel member at many industry conferences and events. 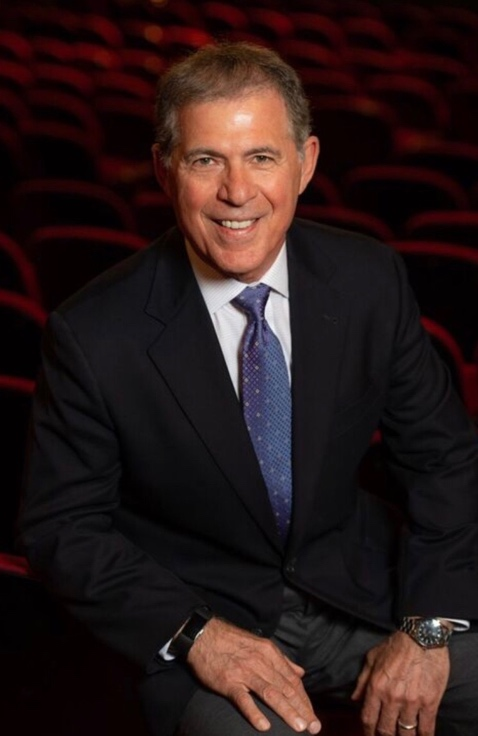 He is a lifetime member of The League of American Theatres and Producers (now The Broadway League) and has served on both the Executive Committee and the Board of Governors. He also served for 15 years on both the Tony® Management and Tony® Administration committees and continues to be a TONY Voter. As the Instructor of “SS4G”, Mr. Scrofani is actively involved with the NYC Department of Small Business Services to expand both the Alumni Program as well as assisting in the development of small business growth in NYC.